I've been hanging out for some sweet Easter treats lately, because it seems like some kind of cruel joke that at this time of year we celebrate with dairy and gluten chocolate and hot cross buns. I don't mind having a bit of diary here and there (although it does hurt my tummy) but there's no way I'm eating hot cross buns ever again unless they're gluten free...and lets face it, is it worth it then? I'm worried I'll be disappointed if it doesn't taste like the real deal. 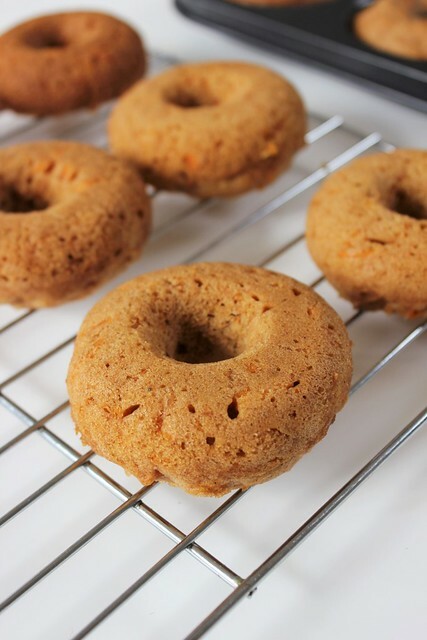 So onto my great idea for Easter baking, make carrot cake donuts! I'm really not sure why there is carrot stuff at Easter time, I'm assuming it's because the Easter bunny eats carrots (does he really though?) but I'll roll with it. Especially because I haven't had carrot cake in years! 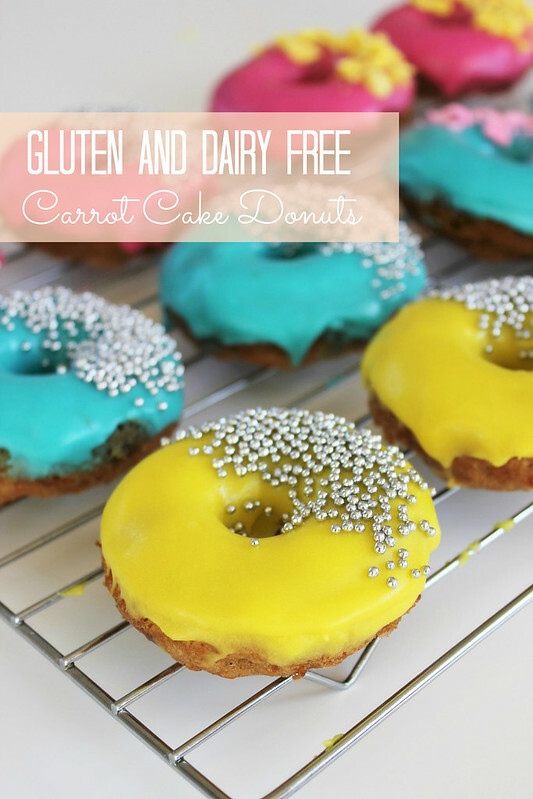 These carrot cake donuts are nice and soft and fluffy (just like the Easter bunny - ha!) and taste great with a double dipping of lemon glaze icing. You can decorate them how you like, I chose teeny tiny silver cachous because I think they look badass and crushed merinuges because I had them on hand from another Easter baking project I'm working on. 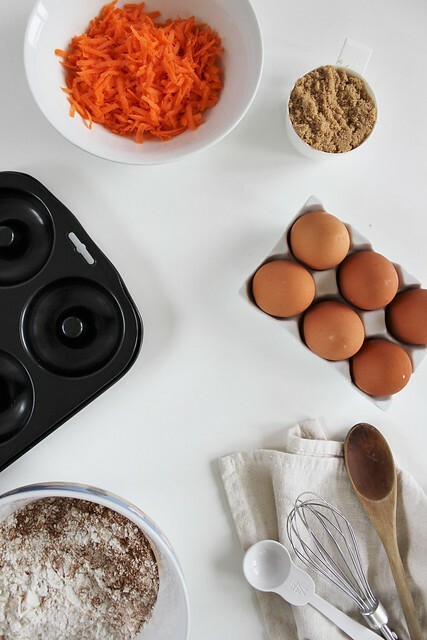 Most of the ingredients used here are easy to find in your local supermarket and to help you get into the baking spirit this Easter you can shop online at Countdown and use the code: YUM in the coupon code at the checkout for $5 off! Happy baking Easter bunnies! 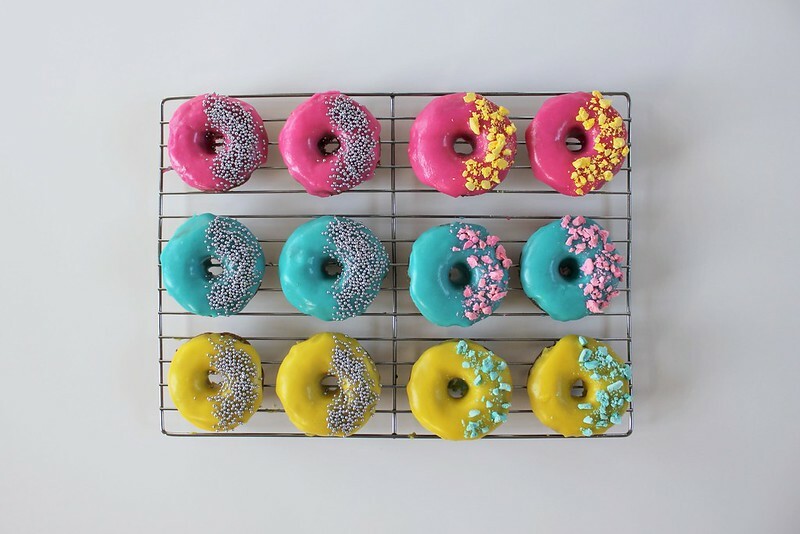 Preheat oven to 180 degrees C and grease a donut tin with oil spray or coconut oil. In a large bowl, whisk the eggs lightly then add vanilla, oil and brown sugar and beat until combined. Add the carrot and mix until combined. Add the dry ingredients and mix together until incorporated, if mixture is too dry add a little water. 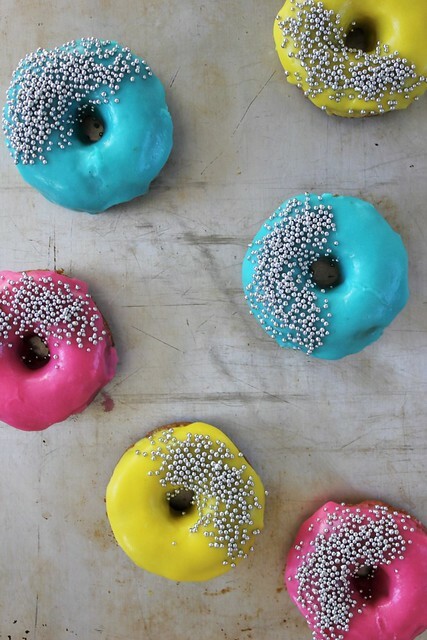 Spoon into donut tin until about half full and spread with the back of a spoon to create a flat surface. Bake for 10 minutes or until skewer inserted comes out clean. Leave to stand five minutes in the tin then turn out onto a cooling rack to cool before decorating. Sift the icing sugar into a large bowl and add margarine and lemon juice and mix until combined. If the icing is too thick add a little milk, you want the icing to be smooth and spreadable, not too liquidy. Divide mixture between bowls and add food colouring (I used Americolor gels: Electric Pink, Electric Blue and Wilton gel: Lemon Yellow). Microwave icing for 5-10 seconds to slightly warm it and make it easier for dipping, mixing after heating. 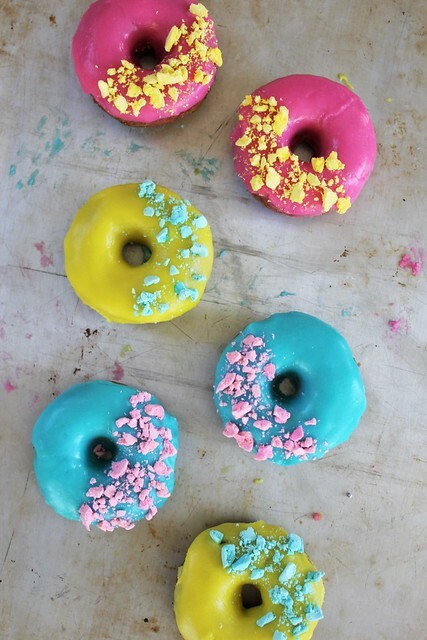 Dip donuts in icing and decorate with sprinkles straight away. Continue with each of your colours, when icing gets too thick or cold just pop back in the microwave for 5-10 seconds again. (I tried emailing you but it bounced back). I just wanted to say well done to everyone who contributed on the “Eggscellent Easter” board we created for Countdown. It looks fabulous! (and so delicious!) I hope they’re happy with what we all created for them. I love all the ideas that everyone came up with and look forward to recreating some of your recipes this week in the lead up to our Easter celebrations this coming weekend. Thank you so much, I really loved seeing your creations too, very creative! I've got another post I need to pop up on Thursday, hopefully that goes down well too! Love it! You are one talented New Zealander!